Scientists from the National Cancer Institute (NCI), the University of Kansas, the National Center for Advancing Translational Science (NCAT) and Dr. Chen Wang, a research associate in Huang's lab, worked closely as a team to make this discovery possible. Huang had already discovered the complex marker that indicates cancer cells' ability to transform into metastasizing "multiple-headed monsters," as she describes them. 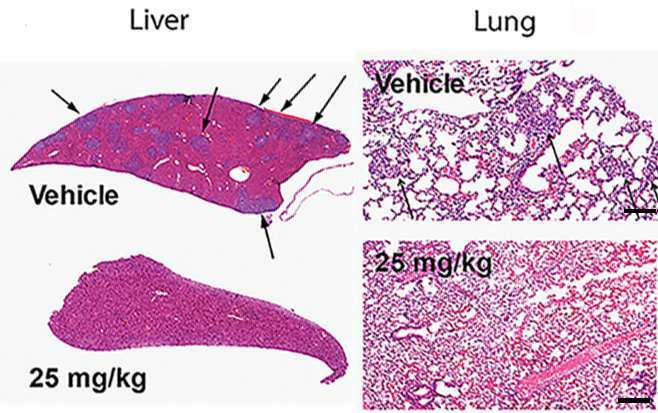 Mice treated with the compound, named metarrestin, had fewer metastatic tumors in the lung and liver, and lived longer than mice that did not receive treatment. The paper will be published May 16 in Science Translational Medicine. "It's like a dirty bomb against cancer," said Huang, an associate professor of cell and molecular biology at Northwestern University Feinberg School of Medicine, describing metarrestin's potency against metastasizing cells. "It could potentially result in a better outcome for patients with solid tumor cancers with high potential to spread to other organs." Why is it important to develop a drug that doesn't just target one gene but multiple factors? "The metastatic cancer cell is a beast that is nearly entirely different from a normal cell," said Huang, who has been working on this research for 25 years. "Targeting one thing is not sufficient to stop metastatic cancer." Most of the time the primary cancer tumor—which can be dealt with by surgery, radiation and chemotherapy—doesn't cause death. "What kills people is when cancer spreads to other organs, such as when breast cancer spreads to the brain, liver, lungs or bones," Huang said. "This represents a new strategy for developing anti-cancer drugs," Huang said. "It's seeking one compound that can potentially affect multiple relevant targets that are promoting metastasis." The marker for metastasis Huang and another scientist discovered in the late 1990s is the complex marker PNC, short for perinucleolar compartment. Its presence in the primary tumor correlates to the tumor's ability to spread and the poor survival of the patients. The higher the PNC level, the worse the prognosis. For this new study, National Cancer Institute scientists tested 140,000 compounds against PNC, searching for one that caused total annihilation. They finally found a compound and made a large modification to make a more effective one. 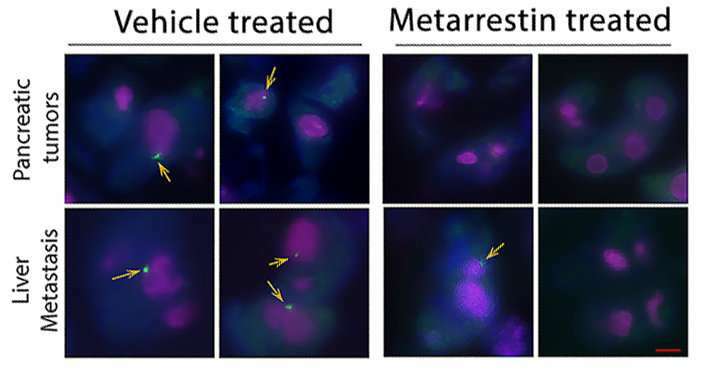 The new compound, which they named metarrestin, significantly inhibited metastasis in human breast cancer, prostate cancer and pancreatic cancer that had been grafted into mice. "We wanted to find that magic compound that strikes multiple parts of the monster. It doesn't just hit its head. It hits its claws, its fangs and its tail," Huang said. Scientists inoculated cancer cell lines originally derived from human pancreatic cancer and prostate cancer into mice organs to generate tissue grafts, called xenografts. These mice were then treated with metarrestin and controls. With breast cancer, the lung pleural fluid was collected and metastatic cells were isolated and directly inoculated into mice without going through the culture system. 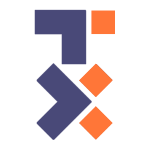 This type of tissue graft, called patient derived xenograft, is considered more representative of a human cancer condition. While Huang's mother's death inspired her to go into medicine, it was an encounter with an 18-year-old boy during her oncology rotation at a Chinese hospital that drove her to become a scientist. "He was supposed to be the best student in his home town," Huang said. "He had just taken a college entrance exam and got the top score, but he had a high fever." He was quickly diagnosed with acute lymphoma. There was little Huang or anyone could do. He died in less than a month. "I felt so useless," Huang said. "After that I felt being a doctor wouldn't help someone like him. I decided to go to graduate school to become a scientist to try to solve the problem."